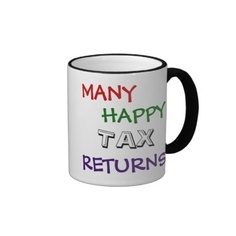 With just over a week to go until the start of the new tax year on 6th April 2014, there’s no better time than now to start getting your paperwork together. CIS (construction industry scheme) workers will more than likely be due tax back because of the way payments are made to them. Not only that, they usually incur all sorts of other work expenses that can be claimed against the tax paid and then receive a tax rebate. PAYE tradesmen are also very often entitled to claim tax back. HMRC find it far more difficult to recognise that your employer actually doesn’t reimburse you for all the things you pay for to do your job. The rules are strict surrounding what is a legitimate work expense but because we have worked closely with HMRC we know exactly what, how and why to maximixe your claim is the safest and most secure way for your tax refund. We posted “High Volume High Risk tax Agents and HMRC” some weeks back. If you didn’t read it, please take the time to do so. It concerns us that too many hard working people are being taken advantage of by tax agents that will make dishonest claims on your behalf and disappear when the proverbial hits the fan. It’s tempting to get the massive refund but be assured HMRC are very aware of these agents and it’s a matter of time before their working practices are looked at more closely… but it is you ultimately that suffers, with having to repay most if not all the money you will have spent by the time this happens (a year or so from now). Our business practices and tax returns procedures have been given the thumbs up by HMRC – we’re safe and so is your tax refund! Do get in touch any time from now to see how we can help you! If you are already a client – we look forward to working with you again!